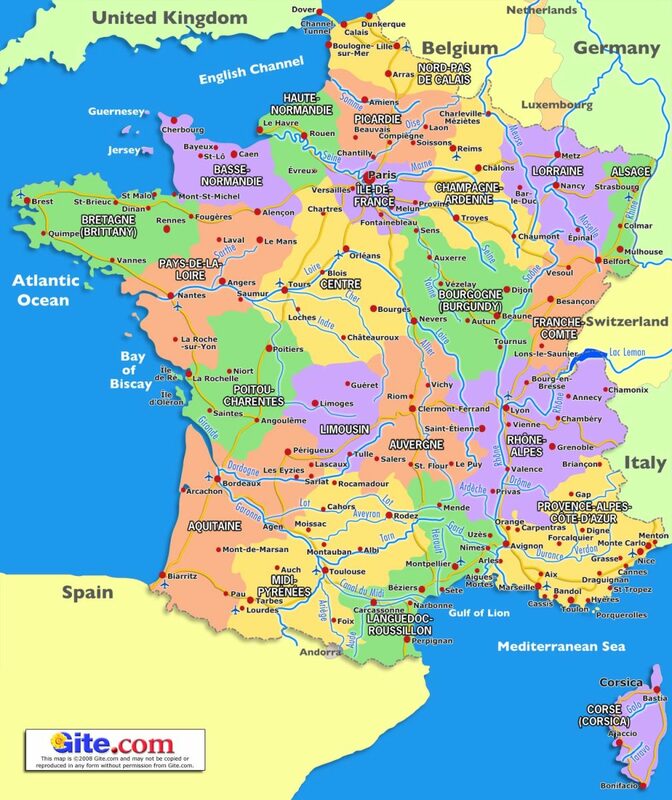 In the 18th century, France was by far the greatest power in Europe. French was the language of all educated Europeans. The longest reign in European history was that of Louis XIV, King of France, who reigned from 1643 to 1715. He created what is called the Ancien Regime, which ended in the disaster of the French Revolution in 1789. France reigned supreme over Europe for 200 years. 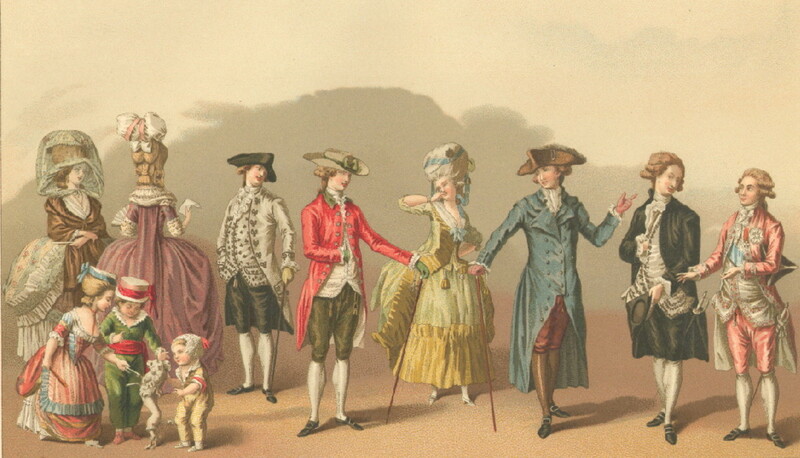 Paris was the unquestioned center of European fashion, culture, and politics. But by 1715 France had fallen into decadence and economic decline. That year the government had revenues of 69 million livres but expenditures of 132 million. The public debt zoomed to perhaps 1,800 million—which was unsustainable. State bureaucracies had grown into a huge octopus, smothering business with mountains of regulations. Louis XV, who reigned from 1726 to 1774, allowed France to stagnate while he focused on hunting and women. The peasants began to starve when the government ran out of the free food they had grown accustomed to receiving. Vauban (1633-1707) was the greatest military engineer of his age. He built 160 fortresses in France—no two alike—that were made to last. 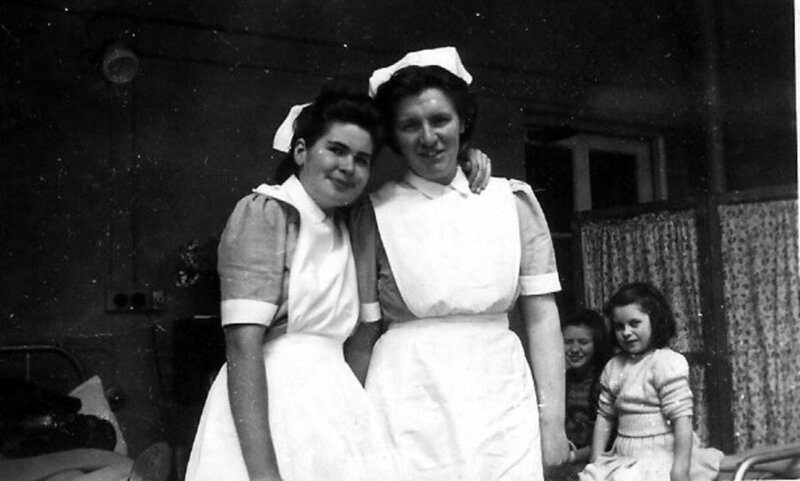 Some even played a role as late as the First World War. Vauban was first a soldier—wounded eight times on the battlefield. He would rise to the double rank of chief military engineer and marshal. Vauban did not glorify war. His chief aim was always to reduce casualties and end conflicts as quickly as possible. Joseph-Marie Jacquard (1752-1834) was a textile engineer from Lyon. He invented a set of punched cards to control the woof and shuttle of looms, which made it possible to weave cloth into predetermined patterns. From this idea came the first automated machinery. His concepts are used in computers today. He called his machines "hardware" and his punch cards "software." The 18th century saw the advent of what is called "French cuisine." The French introduced a radical change from mere cooking to making an art and science of gastronomy. In the past, flavors, sauces, and spices were used to hide the taste of food. The French came up the idea of using these to bring out the unique taste of each dish. Those who had the palate qualified to judge the results became known as "gourmets," though originally this only meant a good judge of wine. French cuisine became the rage around Europe. Voltaire—real name Francois-Marie Arouet (1694-1778)—was a witty and militant poet, dramatist, novelist, historian, and philosopher. 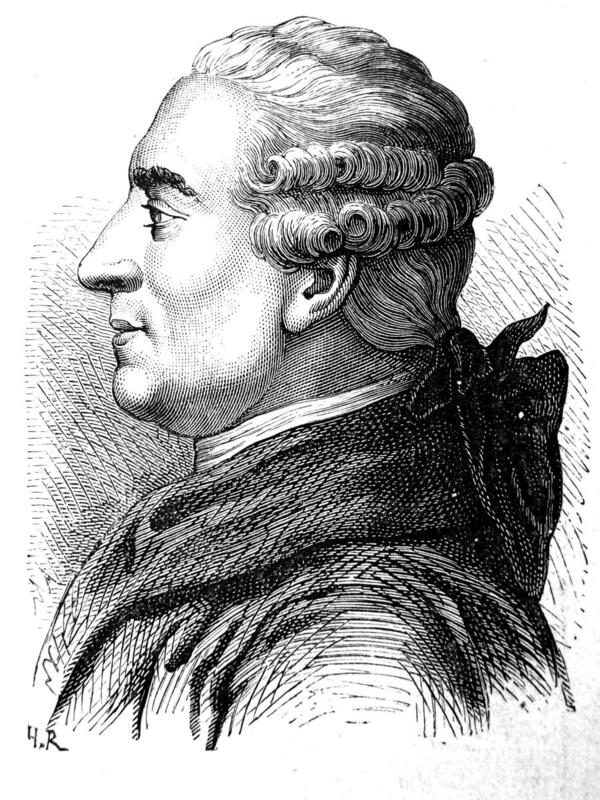 He was a Parisian but lived much of his life in exile, as his writings were often condemned. He was never quite respectable in Parisian society. At age 32, he left Paris in disgrace and except for a three year interlude did not return until he was 84. Voltaire was also kicked out of Switzerland for his attacks on John Calvin. His last words were "I die adoring God." Voltaire has many reputations. One is of a vicious, grinning defiler of all that is fair and noble in humanity. Another is of a man who prized justice and courage. Later in his life, he no longer believed in Progress through Reason. Man will never be cured of violence, fraud, and greed. It is best to retreat and live the simple life tending to one's own garden. Voltaire, like many men, is a contradictory figure. He expressed much hatred for monarchs yet loved Frederick the Great of Prussia and Catherine the Great of Russia. He urged the abolition of the Church yet proclaimed religion as necessary to keep the ignorant, brutish poor from looting and killing the successful classes. 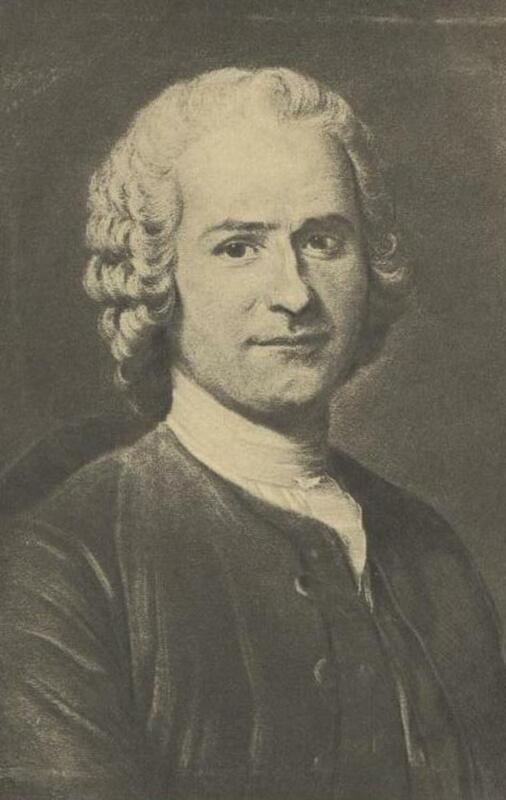 Jean-Jacques Rousseau (1712-1778) was born in Geneva. He was to become an accomplished musician, composer, novelist, and philosopher; in between stints he served as a tutor, valet, and secretary. Rousseau's big idea was that civilization and prosperity were corrupting forces on mankind. He believed in going "back to the land" and extolled the supposed virtues of primitive man. Rather than to rely on Reason, Rousseau felt men should rely on their emotions. For these ideas he is known as the first of the "Romantics." He was the son of a Calvinist watchmaker from Geneva. As a young man, Rousseau moved to France where he became first the servant, then the adopted son, and finally the lover of a provincial lady with intellectual pretensions. He learned high manners, converted to Catholicism, and spent a spell as a monk. 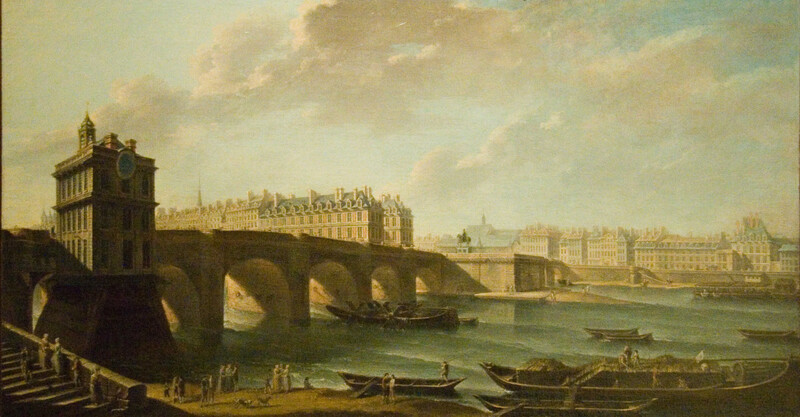 Rousseau moved to Paris and became friends with Diderot. He married a woman of humble birth and had children. Rousseau supported his family as a music copyist. He wrote books about government, politics, religion, morals, love, the arts, education, and society. He argued that the arts and sciences had not improved mankind. Rousseau was an extremely unlikeable person who despised his fellow intellectuals—particularly Voltaire. Voltaire's fans were the enlightened elite; Rousseau appealed to the masses. By the age of 43, Rousseau was once again a Protestant. 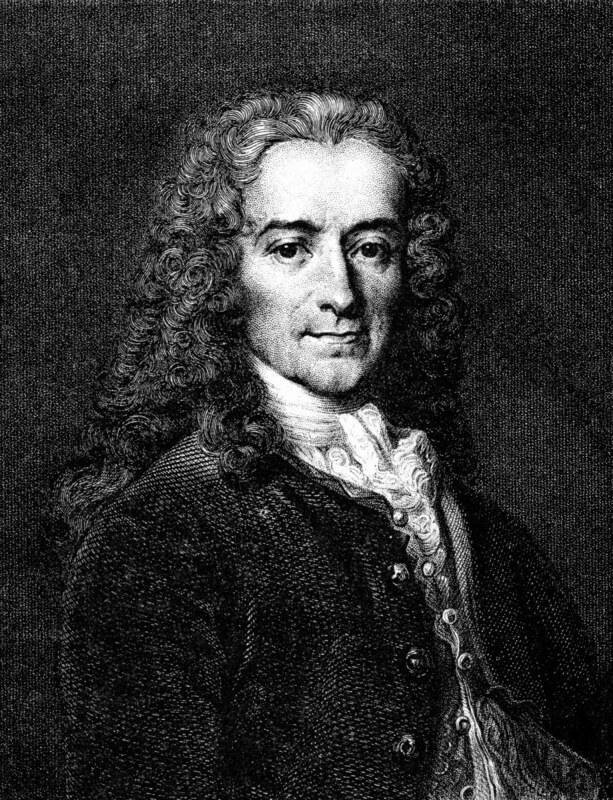 His latest book, On the Origin of Inequality Among Men, had sent Voltaire into a rage. 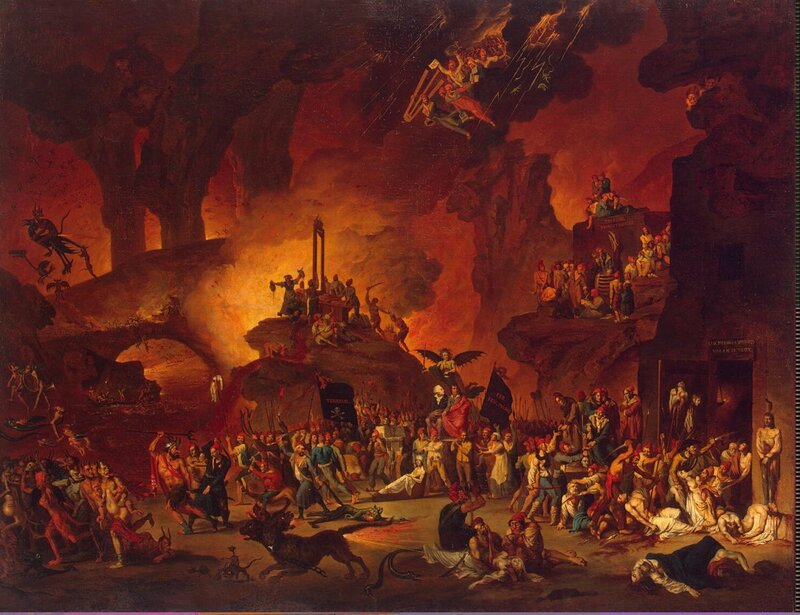 In it, Rousseau expressed his ideas that civilization had become too complex and artificial. Man should revert to the past and once again become a Noble Savage. Voltaire responded that Rousseau wanted us to "walk on all fours" like animals and behave like beasts. What he really meant was that wealth and rank leads to injustice and then to instability. The ideal man is the independent farmer who governs himself and bows to no authority. He rejected the graces and luxuries of modern society. All of Rousseau's books met with huge success among the masses. He published a great book on politics, The Social Contract. Here he agrees with John Locke that Representative Democracy is the best form of government—what he calls "elective aristocracy"—as long as the representatives act in the best interest of the public. Rousseau argues that direct democracy will not work for fallible human beings. And that representative democracy will only work for a people who are both free and moral. Rousseau urged fathers to be involved with their children and mothers to nurse their babies. A child would grow up best in a rural setting, where it would learn firsthand about the beauty and variety of nature, the rhythm of the seasons, and about living creatures. Rousseau believed that cities are unhealthy, too complicated, hung up on conventions, susceptible to fads, home to shallow ambitions, and dens of dissipation. He believed that the tremendous power and infinite beauty of visible nature are witnesses to the living God. Religion is at its best as a feeling that combines wonder with humility. He had some similarities to your author. He was an autodidact and, of course, a voracious reader. Rousseau was a unique social being in that he could critique society as one who had seen it from every vantage point—low and high. He had been a poor waiter; he had been the guest of honor in mansions. He had worked in government and was well-traveled; he ended his days anonymously living a small cottage in a nondescript village. Rousseau and Voltaire died in the same year, and their deaths were the last gasp of the Enlightenment. Pure Reason had proved unpersuasive and inadequate in making sense of the world. Its anti-Christ emphasis neglected the spiritual side of the human experience. Encyclopedia—"the circle of teachings"—were all the rage in 18th century Europe, particularly in France. The French philosophers believed that everything would one day become known and that knowledge would emancipate mankind by the application of science to all questions. These philosophes dreamed of a world no longer divided by nation, language, religion, or mores. The coming global utopia would have French as the universal language, Deism as the universal religion, and the Christian ethics of brotherhood and love as the universal morality—but Christianity itself must be eliminated with its church, theology, and supernatural history. For this to happen, the Bible must be deprecated and depreciated as a set of fables invented by ignorant or devious people. The trailblazer for this philosophy had been an excommunicated Jew named Baruch Spinoza (1632-1677). He had formulated a worldview based on natural science complete with an impersonal God that was incompatible with the Bible. From this foundation the French philosophers sought to eliminate Christian tradition and Scripture from social theory and from the public debate. God was acknowledged as the Creator—the Great Watchmaker. He had set the cosmos in motion but then let it run on its own. He endowed Man with Reason so that Man could discover His orderly scheme. From here, the idea arose that since God was not involved in human affairs, He was no longer needed. And from there the idea began to be whispered that perhaps He does not exist at all. Diderot (1713-1784) is the pivotal person of 18th century France. His mission was to bring together all the elements of the new creed of the French philosophers in one easily accessible place—an encyclopedia. It took Diderot 26 years but he got it done, with great contributions from his best friend, Rousseau, who wrote all of the entries on music (among others). 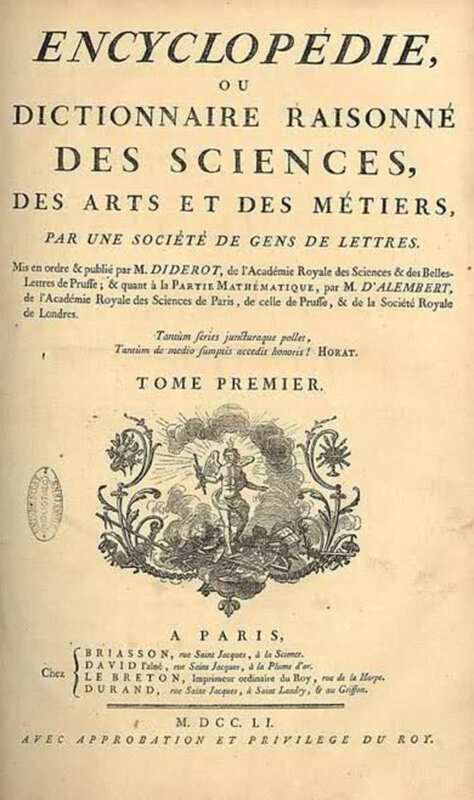 In Diderot's Encyclopedie he was able to insinuate the ideas of the philosophes across a wide range of subjects. It combined a great reference book with a pamphlet of propaganda. The Encyclopedie is the model through which all social engineering through education has proceeded apace. Here is part of the entry on Consecrated Bread: "40,000 pieces of bread for communion will cost 80,000 livres which, multiplied by 52 Sundays adds up to more than 4 million livres. Why can't we be spared this expense? We are too childish and slaves to custom." 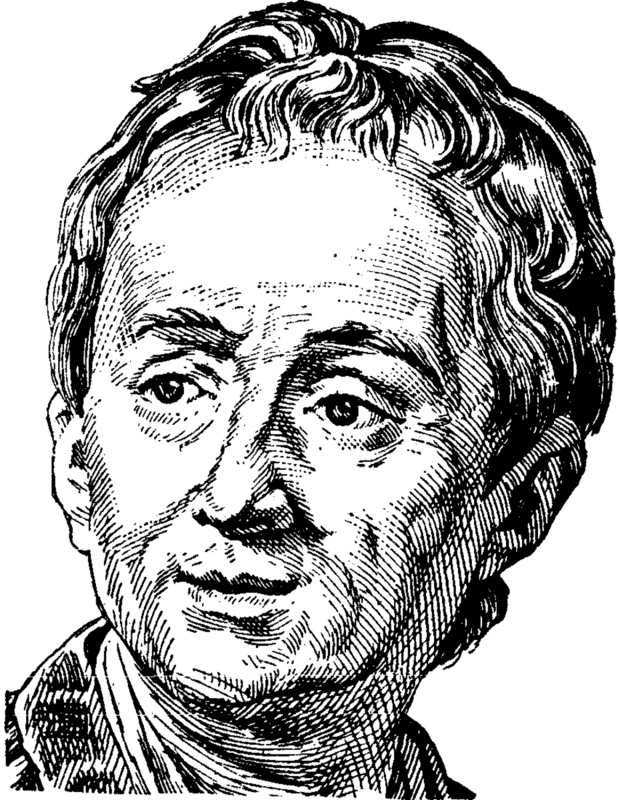 Diderot's Encyclopedie was a declaration of war against Christian orthodoxy and tradition. In order for it to receive wide readership, the wealthy of France subsidized it, as encyclopedias were very expensive to produce and buy. It was denounced by the Church as a sinister, blasphemous publication. To Diderot, human beings are nothing more than animals. Therefore, what should be concentrated on are human life, behavior, instincts, sexuality, passions, and emotions. Diderot was fond of the island society found in Tahiti, which with its free, guiltless, open sexuality was superior to the civilized world, in his view. The godless rich backed Diderot's subversive Encyclopedie because it attacked the church and the monarchy. Little did they know that their own class would be targeted before long by the guillotine. Pierre Beaumarchais (1732-1799) was an extraordinary man in an age of extraordinary men. He rose from humble beginnings as the son and grandson of well-read watchmakers to become a huge celebrity. He was a man of letters, a skillful diplomat, a publicist, an extraordinarily eloquent writer and speaker, a fine singer, a good musician, and a comedic playwright who penned The Barber of Seville and The Marriage of Figaro. Beaumarchais had little formal education but he was an ambitious autodidact. He is remembered as a cheerful, energetic man who was always quick to sympathize deeply with others. His two sisters became brilliant wits and poets. Beaumarchais coined the word drama to describe a play that was neither comedy nor tragedy. He killed a man in a duel over a woman, and for this he was filled with remorse. False rumors circulated that he was a scoundrel. He was sent to prison, his reputation and finances ruined. This was the one time he is known to have sunk into shame and self-pity. At a later retrial, he was vindicated and restored to an even higher place in society. Beaumarchais was the key French supporter of the American War of Independence. The royal council rejected his pleas for direct military aid, fearing war with England. Beaumarchais convinced his government to give him a million dollars to launch a "private" campaign on behalf of the American colonists, whilst France could officially forbid such action. He created an imaginary firm he called Rodrigue, Hortalez, and Company. It secretly supplied the Americans with 200 cannon; 25,000 firearms; 200,000 pounds of powder; and large quantities of mortars, ammunition, clothes, and other equipment. 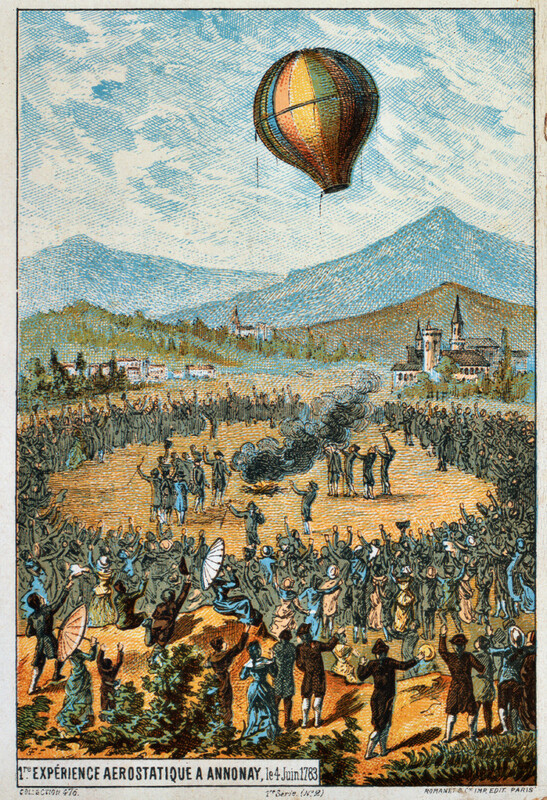 The brothers Montgolfier built the first hot air balloon. Its sphere was made of thickened wallpaper because that is what the brothers manufactured. In 1783, a public demonstration was held in Paris of man's first flight up into the blue. A man who called himself Count Cagliostro became famous as a miraculous healer who also foretold the future and communicated with the dead. High society people were bedazzled by the "Count." They befriended him, paid him lavishly for his services, and publicly pronounced him a supernatural being. He was actually a charlatan whose real name was Giuseppe Balsamo, son of an innkeeper in Italy. One of his schemes became known as the Affair of the Necklace, which involved a diamond necklace worth 1.6 million francs and Queen Marie-Antoinette. France was bankrupt by 1788. For the first time in 175 years, the king called a meeting of the Estates General—an assembly of the three estates (nobles, clergy, and commoners). No one wanted to get rid of the king. The consensus was that a constitutional monarchy was needed in France; the vast, bloated bureaucracy needed to be reduced in scope and power; and the corrupt judiciary must be reformed. 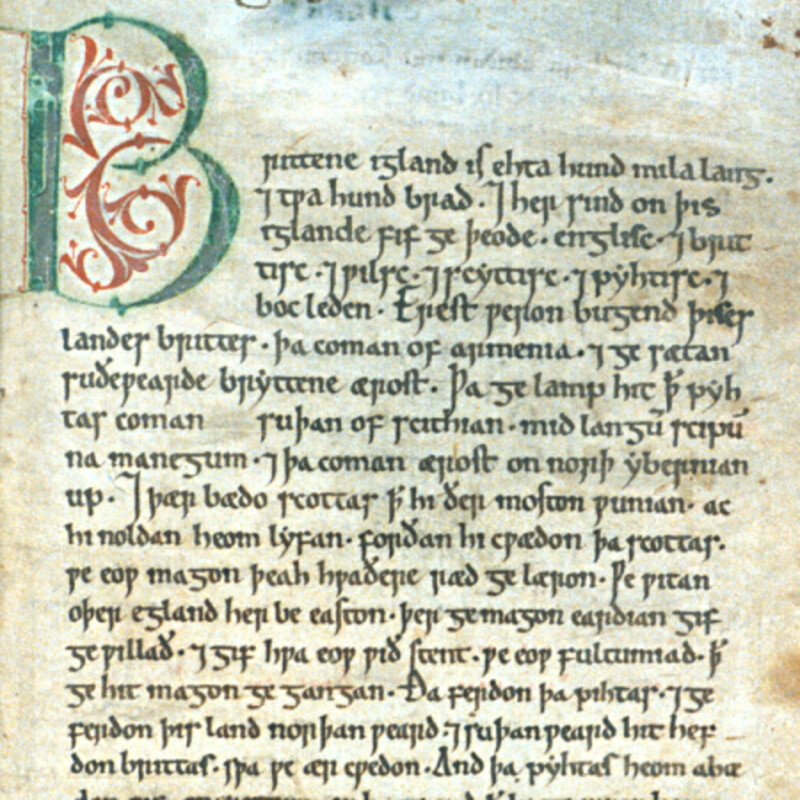 The king decreed freedom of the press. 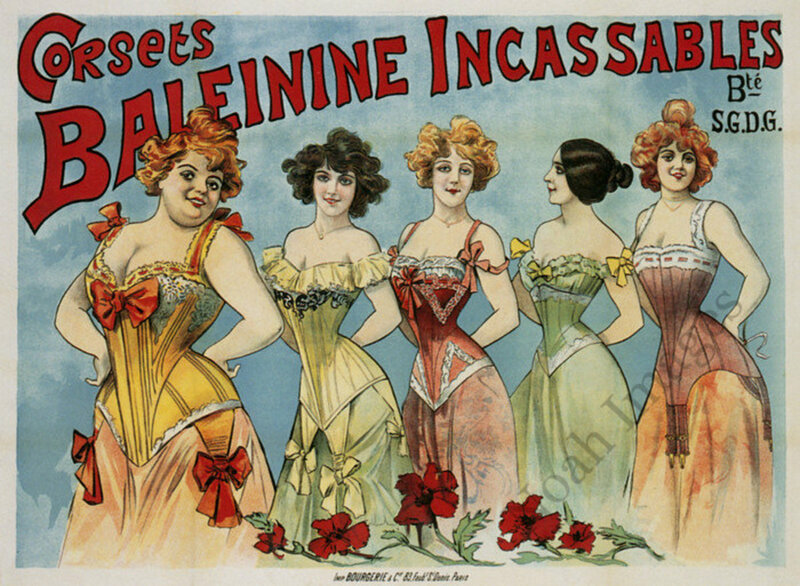 Suddenly, politics was on the mind of every person in France, including women and children. The following year, a National Assembly was formed. Privileges of the nobles were abolished. We can look back at history and see fairly clearly what happened next and why. But one thing about history that is harder to grasp is that the people living it had no idea what was to come. No one predicted it; only a handful wanted what happened to happen—a fundamental transformation of France. The Bastille was stormed and its guards needlessly massacred. Riots broke out in several cities. Dr. Guillotine proposed the machine that bears his name. The people wanted hope and change. My primary sources for this Hub are From Dawn to Decadence: 500 Years of Western Cultural Life by Jacques Barzun; and Europe by Norman Davies. Ashutosh Tiwari ~ Nice to hear from you. Napoleon was one of a kid, that's for sure. Thank you for reading my Hub. Jackie Lynnley— Happy Thanksgiving to you belatedly. I hope you had a good one. I am grateful for the voted up and across! Thank you, Jackie, for the kind compliments. Great history lesson! Voted up and across. Happy Thanksgiving! suzettenaples— Thank you! I am so glad you enjoyed reading this Hub. As you say, "The Enlightenment had a huge impact on America and some of her ideas for a democracy." I sincerely appreciate the visit and your fine comments. jimagain— I am flattered that you would read this Hub four times! Thank you for letting me know that this is the case. Many great Americans, for one Abraham Lincoln, have said that if we are destroyed it will be from within not from without. I agree with your assessment and the analogy. Thank you very much, my friend, for your outstanding remarks. I look forward to reading many more of your Hubs soon. Fascinating hub! I knew a little bit about the history of France, but certainly not in the detail you do. This is so informative. Some of the ideas of Voltaire and Rousseau became the ideas of our founding fathers here in America. The Enlightenment had a huge impact on America and some of her ideas for a democracy. That is the part I know about French history. I enjoyed reading this hub. My 3rd re-read of this Hub. A riveting, chilling look into the mindset of the masses that led to the decline, then downfall of a once great nation. The analogy is too similar to our current condition to read without concern as we may very well be the agents of our own self-annhiliation. This isn't a history lesson as much as it is a look at our own dissolution. As always a great article and history lesson. Thank you. Signed copy? You can count on it. What an excellent piece. So you are publishing some History? I hope to get a signed copy!! Your writing gets better all the time and a pleasure to read. Take care Brother! prasetio30— You are more than welcome, my friend. It is always a pleasure to read your comments. Yes, France is a wonderfully beautiful country. I have been there once. I appreciate the voted up and your encouragement, Prasetio. Thank you for reading my work. stars439— Thank you, my dear friend, for your gracious compliments. God Bless You and your family. b. Malin— As far as I am concerned, you are right on time. I sure appreciate the accolades. As far as the rest of your comments, I enjoyed reading them and I most certainly agree with your thoughts. Dim Flaxenwick— You are most welcome. Thank you for the awesome accolades. Yes, the French were far more sophisticated than those Scots. The Scots knew how to make money though, and many of them later were great philosophers and political scientists. I love France as one of beautiful country in Europe. Thanks for share about the history of France. My brother, James. You always found something interesting to be written, especially about the history. Thanks for share with us. Keep on good work. Vote up and have a nice weekend. thelyricwriter— Got your email. Thank you very much for the alert. It takes all kinds. But some do not play with a full deck. CMHypno— You're welcome. Thank you for the kind compliment. I am glad you came to visit. You wrote: "It must have been amazing to visit somewhere like Versailles during the 18th century and seen it at the height of its glory or talked about philosophy or politics in one of the Paris salons." Here here! That is a great comment. ama83— Hello there! It has been a long time since I have heard from you. How is the book publishing business? How are your folks? I haven't seen them around HubPages lately either, come to think of it. Well, thank you very much for coming by and saying hello. It is good to "see" you again. gryphin423— You are most welcome. Your accolades mean much to me coming from a woman with a degree in history such as yourself. I once lived in Tampa Bay, too. H P Roychoudhury— Thank you very much for taking the time to read my article, my friend. I just love the depth and insight in your thoughtful comments. I appreciate this visitation and the kind compliments. sheila b.— I am well pleased that you enjoyed reading my Hub on 18th Century France and that you found it interesting. I am going to write about the French Revolution soon and thought this background piece was needed first. Thank you! A wonderful hub, and quite and education. God Bless You My Brother, And Your Precious Family. I'm sorry I arrived late for this Wonderful History Lesson James. These men were such fascinating "French Men"...with their principals, their beliefs...Poets, Writers, Engineers...and of course, Kings and Queens...And in the End, they all wanted Hope and Change and many died to achieve it. Bravo, my friend for such a well written and Informative HUb. l love to come to your page for my history lessons,. 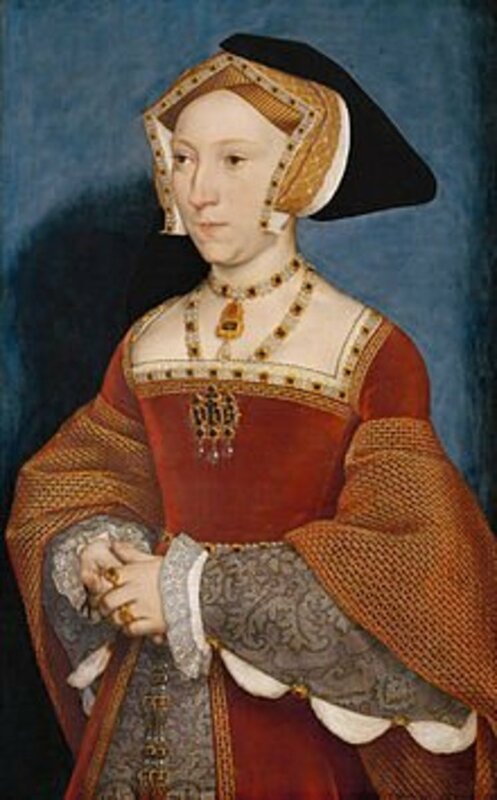 l remember reading the biography of Mary , Queen of Scots, and feeling so sorry for her, when after being raised in the wonderful, cultural atmosphere of the French court, she was thrown into a major culture shock. 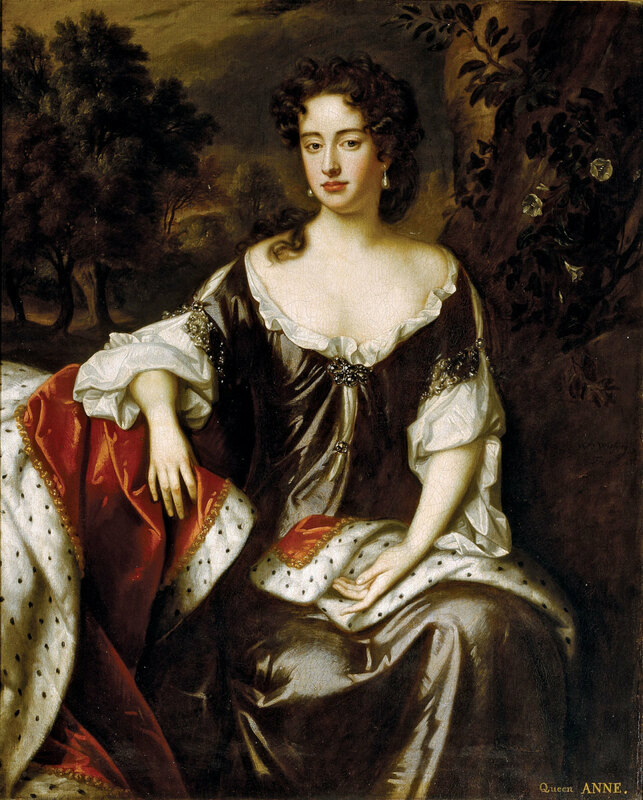 On becoming Queen , of course she had to move to scotland, which was so far behind the times of the french. Her Lords seemed like barbarians compared to what she had grown up with. This hub is jam packed with great information as always. Thank you. James, check your email. Message from me. Very important. Thanks. always exploring— Thank you!! Thank you very much. And you are welcome. Lynn S. Murphy— Thank you for the kind compliments. I surely agree with you that, as you said so well, "one must keep its eye on the collective ball to make sure those in charge continue to act in the best interest of the garden tenders." Hyphenbird— You are most welcome, melady. I love history, too. And I absolutely loved your Hub on Wabi-Sabi. DavePrice— A life lived with balance is a fine goal, my friend. I enjoyed your thoughtful remarks. Thank you for taking the time to read my work. I appreciate the visit and your comments. Gypsy Rose Lee— I am glad you enjoyed my work here. I took a couple home courses in French and it helped me to be able to understand it in print, and to say some things and understand the most common spoken phrases and words. But I did not get the hang of it enough to have an actual conversation in French. James, you there? I need to speak with ya. PenMePretty— I am so grateful for your laudations and the thumbs up! As you said so well "It seems people as far back as when history began, like us now, wanted hope and change...for the good that is"
You wrote: "In so many ways things haven't changed that much. Just names and situations. We are all intertwined in ways, have been and will be always." Cardisa— There is a fine line between genius and madness, someone once said. I agree with that. All men, no matter how brilliant, are flawed. Thank you for your insightful and thoughtful remarks. RedElf— I am so glad that you found this Hub to be fascinating. I enjoyed reading your erudite remarks. I agree with you totally. Thank you for visiting and commenting. 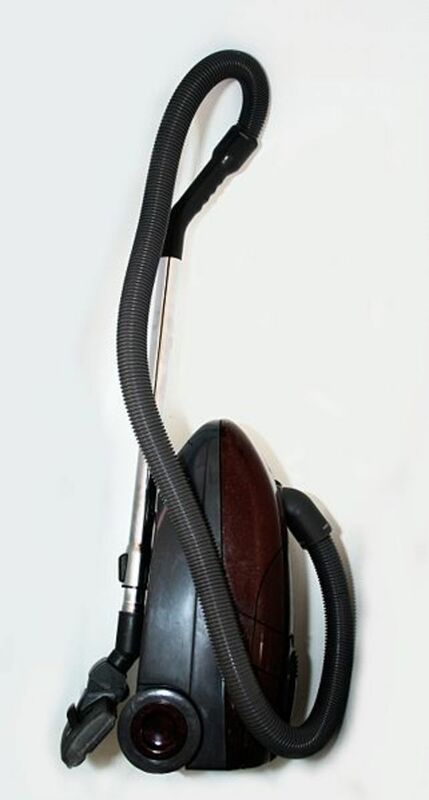 jimagain— You are welcome, my new friend. I sincerely appreciate your kind compliments. I enjoyed the reference to Scripture, as well. You wrote: "I see many parallels in history to our modern culture"
Whidbeywriter— I am so appreciative for your blessings and the voted awesome! Your laudations are received by me with a grateful heart. Thank you ever much for taking the time to read this piece. drbj— Every time I read your comments on one of my Hubs I am so encouraged and thankful. Yes, history does indeed repeat itself. As King Solomon said, "There is nothing new under the sun." Of course, the wisest man who ever lived was not referring to technology, or the fact that all of us have the privilege of standing on the shoulders of the giants who came before us. He was referring to the human heart, which has always been the same—to the chagrin of Darwinists. GmaGoldie— You are most welcome, my dear. Yes, Thomas Jefferson was quite the Francophile. A really good read, well written and detailed. France is a beautiful country with a rich history.Thank you, I enjoyed it immensely. It is a well written hub nicely narrated the great history of France. It was the place where from new designs of life and administration evolved. Your beautiful style of writing about the great philosophical stalwarts of French has made it interesting and exciting in the evolution of new thoughts of life in French remaining in prosperity as well as in poverty. What a great and informative article. Lots of detail about all of the top characters from 18th Century France. Wouldn't you think the French would learn from their own history? Yet I don't see that they have. This was really interesting to read. I hadn't known much more than the names of most you wrote about, so I'm glad to have learned more. Wonderful and interesting history lesson. I agree with tending one's garden, however, while tending, one must keep its eye on the collective ball to make sure those in charge continue to act in the best interest of the garden tenders. This is an excellent history lesson. I love history, and knew a bit about France. Not to this extent however. Your knowledge is outstanding and presented perfectly. Like DavePrice I love this line, "It is best to retreat and live the simple life tending to one's own garden." I shall remember that in my Wabi way. I am referring Mr. Alastar Packer here as he is a history buff also. Thank you for an unforgettable presentation. I agree wholeheartedly, another fascinating read. There are dozens of ideas within that could sustain their own exploration, which you spur me to do myself for the joy of it. I was most struck by one passage, "Man will never be cured of violence, fraud, and greed. It is best to retreat and live the simple life tending to one's own garden." When a man wearies of the worldly fight, this is his first response, one which I have employed from time to time myself, only to return to the field of battle. Perhaps I am simply learning the balance of the two. Great read brother. A fascinating read. Viva la France! and C'est la vie! If I remember these sayings correctly. Tried to learn French but even though I took it all through high school I can only speak a few phrases. MonetteforJack— You are most welcome, my dear. Thank you ever much for the "voted up and everything except funny!" I appreciate your recognition of the pictures I selected. I will be publishing several history books and as per your request I will surely let you know when they are published. It seems people as far back as when history began, like us now, wanted hope and change...for the good that is. In so many ways things haven't changed that much. Just names and situations. We are all intertwined in ways, have been and will be always. You definitely get An Excellent, A+ on your homework! I voted everything for you. You keep it all interesting. Thanks for sharing. Thumbs up! Very good article James. You have very high quality hubs pal. I always enjoy reading about the past, any 18th century history. I agree. A great review. 18th century France is a fave here and your article on it is super James. What a coincidence, just wrote on a comment about finding new things on a subject you thought you new pretty well. Vauban, Jacquard, Diderot, all new. New and interesting things on the others too. The last painting is unusual. Is that a Guillotine in the background. Thanks for the enlightening read my friend. I've studied some of these men in college many years ago. It was a nice review. voted up, useful and interesting. I think Voltaire was confused or mad! James, I know just where to come for my history lessons. French history isn't boring at all. Some of these famous men were heroes while others were just plain mad. Diderot and Rousseau did much to shape the basis of modern thought, particularly in the quest to acquire knowledge and the idea that science is the solution to all of humanity's problems. Fascinating hub, James! Remember the days of old, consider the years of many generations... Deuteronomy 32:7. I see many parallels in history to our modern culture. Thanks for a useful look into the root of modern culture which, while touted as a fresh modern soultion free from archaic restraints of the past, will undoubtedly result in the same dismal failure of western society as before. This should be required reading. When your name is on the hub article, James, I know I am going to be entertained and at the same time learn something I had never known or simply forgotten. This hub was no exception. Isn't it fascinating how history repeats itself? I refer in particular to your quoting Locke and Rousseau: "Democracy is the best form of government ... as long as the representatives act in the best interest of the public." Doesn't that have a too familiar ring to it? Thomas Jefferson was a great fan and supporter of France. He collected many pieces of art and hundreds of books-probably during this same timeframe? Greatly enjoy your history and your art. As always you remain one of the most enjoyable reasons to be here on Hub Pages. Thank you very much! James, again, thank you for an excellent piece of work. Awesomeness !!! I voted up and everything except funny. I clicked beautiful because the pictures are appropriately placed and really, made the hub more captivating. Geez, I am transported back to history and -- again, AGAIN, again, I am learning so much from you and your hub! Anytime you'll write/publish a history book, please, let me know. Thanks and more successes! liftandsoar— Yes, indeed. I am happy that you "got it." Thank you for your remarks. SanneL— You are most welcome. I am glad you liked it! Thank you for visiting and commenting. Well, written as always James... very interesting. Interesting and sobering in light of our own times. Thank you for this very well researched and very educational hub!